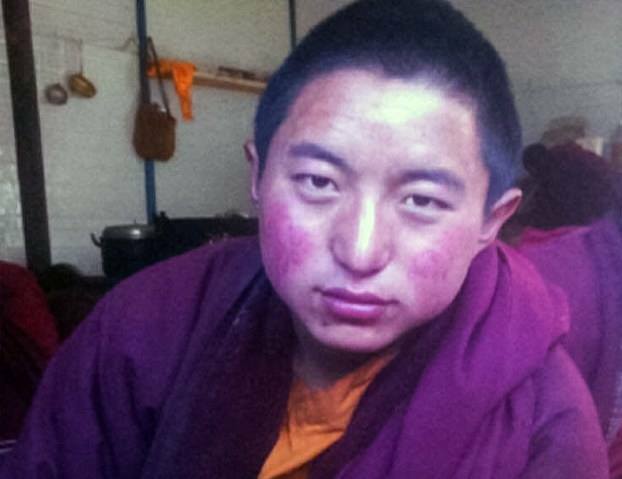 (TibetanReview.net, Feb11, 2015) – A teenaged Tibetan Buddhist monk was severely beaten and taken away by Chinese police in Karze (Chinese: Ganzi) County of Sichuan Province after he took out a lone street protest on Feb 6. Pema Dorjee, 17, of Za Gonsar Monastery, marched on the streets of Karze county-town, shouting long-life prayers for Tibet’s spiritual leader, the Dalai Lama, and calls for his return from exile. He was attacked by a ground of eight Chinese police within minutes after he started his protest. They beat him severely before taking him away in critical conditions. The monk’s home is in the county’s Zakhog Town where his parents, Lhagya and Meyang, live.